Prime95 is far from 'Not remotely close to any scenario an user will even encounter'. All threaded applications i have personally written reach the 45W TDP limit without problems on my i7-2820QM. Which is exactly the amount of power that the processor will sustain even if the core is held at sub-zero temperatures. Notebookcheck measures massive throtteling under prime95 + furmark with the GT70: the CPU reports under 1/4th the package power it should, the GPU downlocks to 587Mhz the second prime95 starts. And now to your temperature measurements. Since Dragon Edition is basically a GT70 with red colour, you can compare this review against Notebookcheck`s own review of GT70 with GTX 780M. Exact same hardware as this review, 4700MQ. In Notebookcheck`s Extreme test, with Furmark and Prime95 running simultanously, they got 92C Max for the CPU and 93C for the GPU. Since Furmark and Prime95 is a benchmark that push the GPU and CPU to the absurd extremeness that nobody will EVER encounter with this notebook, the temperatures when gaming will be MUCH lower. Notebookcheck ran the fan without the turbo mode. Anandtech however got 98C for the CPU when just gaming?! Bad paste job from the factory maybe? A respectable reviewer should understand that no OEM would ever put components in a notebook that run on 98C. Didn`t any alarm ring in your head that something isn`t right here when watching the temperature skyrocket? "Bad paste job from the factory maybe? A respectable reviewer should understand that no OEM would ever put components in a notebook that run on 98C. Didn`t any alarm ring in your head that something isn`t right here when watching the temperature skyrocket?" The point is, the temperatures SCREAM bad paste job or something other with the cooling system that is not normal. 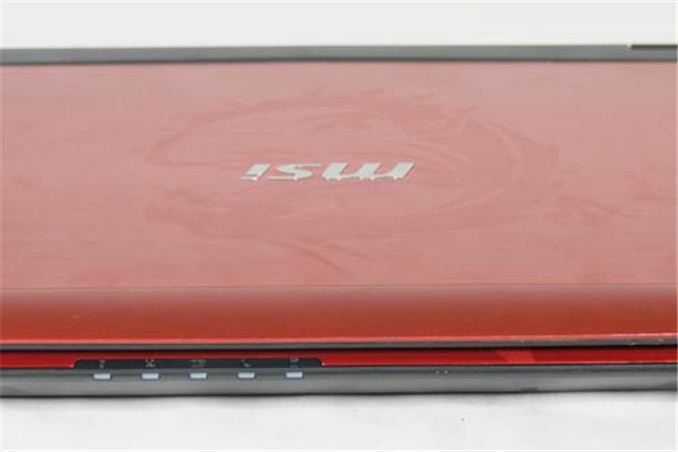 "Cooler Boost 2" is MSI`s newest improvement in this notebook. It bridge the CPU and the GPU together to create a huge heatsink. So the thermal capacity have improved. Which you clearly see in the other review I mentioned. Anandtech should have never posted this review, but asked MSI to get a new notebook from them, or repasted the CPU themselves. You don`t put out a review of a product which is not functioning correctly like it should. 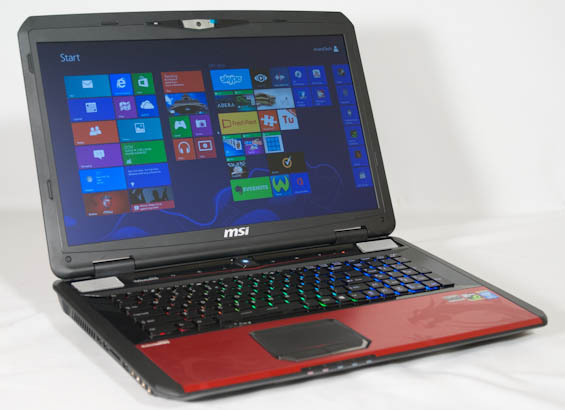 ""Cooler Boost 2" is MSI`s newest improvement in this notebook." Right, so you have nothing to counter all my arguments with? I cannot believe you pushed out this review and thought 98C for the CPU is what the engineers at MSI have considered normal. Or that people should be forced to use the Turbo fan mode. Jarred Walton would be much better at dealing with reviews like this. Looks to me like you rushed out this review just to post something new to show. Anandtech just fell many places down as a reputable reviewer site. I know the difference between "Cooler Boost 1" and "Cooler Boost 2" thank you. Its much easier to write "Cooler Boost 2" than "a new copper bridge between the CPU and the GPU to spread out the heat more between the two. And therefor not have the CPU to run much hotter than the GPU, forcing the fan to go up in speed"
Except that the CPU actually runs fine and doesn't throttle when the 780M isn't in use. I review what I'm sent. The system I was sent has serious thermal issues with the CPU and there's no reason a 180W PSU shouldn't be able to handle this hardware. I've spoken to contacts in the industry that have seen a high amount of variance in the quality of these units and I may very well have gotten a lemon, but that doesn't actually change whether or not the system can be recommended, does it? The cooling system MSI employs is inferior to the one employed in the Alienware M17x, likely the Alienware 17, and in Clevo units, full stop. Almost every other gaming notebook in this class has separate thermal zones for the CPU and the GPU for a reason.